I've come to a realization that for an anime about ballroom dancing, there isn't that much ballroom dancing in this anime. Sure there's a nice slice of dancing here and there, but for the most part there's not that much quantifiable dancing, let alone qualitative dancing. Which was pretty much what the first part of this episode was about, just jumping from heat to heat and a few shots of the couples on the dance floor busting out some dance tactic I know nothing about. Though not to say that the cavities between the "dance" parts aren't bad, they're quite good, and it's why I love Ballroom actually. Now, onto the good stuff from this episode - Akira and Chinatsu. 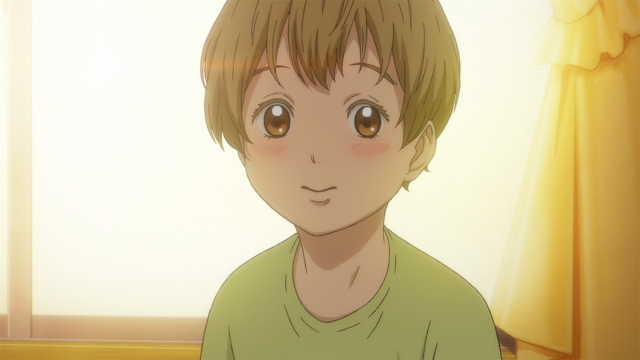 Some hot tea was spilled about Akira in this episode that we'll get to later, which pretty much blinded me on the backstory behind Akira and Chinatsu. Basically we learn how they originally became dance "partners," and that Chinatsu and Akira bonded over the fact that they were bullied by their classmates in elementary school. You can see that Chinatsu's love for dance really sprouted when she started dance when she was younger, specifically when she learned about competitive dancing. And her love for dance has stayed with her since it bled into her future and eventually ending up being paired with Tatara. 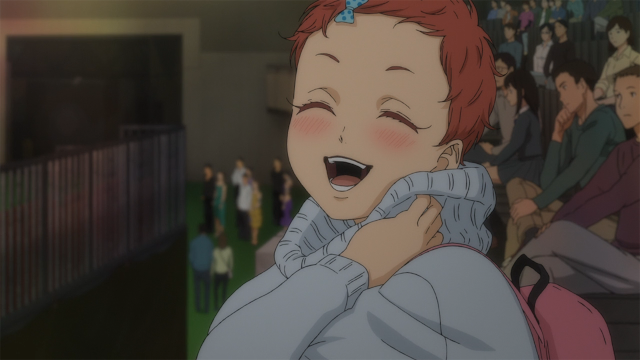 It was a pleasant surprise that Chinatsu knew of Hyoudou, Shizuku, Gaju, and Mako in the competitive dance world - the inner Ballroom fan in me lives for stuff like this. Now on to Akira. When we started to learn about how Akira and Chinatsu met, I was like okay this is kind of cute, Akira likes Chinatsu in a friendly way since Chinatsu stood up to her against her bullies. Then things got weird as we learned more about their backstory and I started to give Akira the side eye due to her unusual affection towards Chinatsu. Long story short, I was thrown off at the end of the episode when it was alluded that Akira was crazy in love for Chinatsu. I was just like, what the hell.. in a good/ funny way though! I'm not sure if a crazy in love ex-dance partner is going to weave well into this story, it feels very outlandish based on the air Ballroom has given us so far. 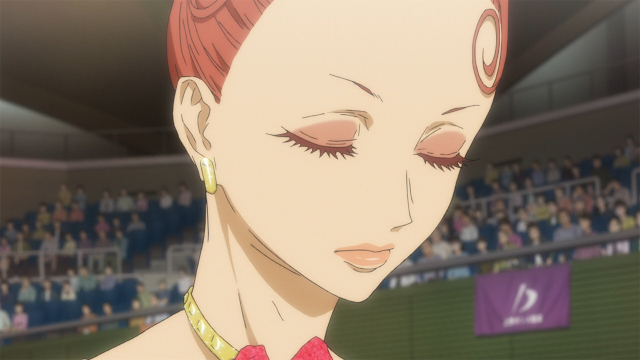 But then again, Akira's a nobody in Ballroom, so I hope that it's just a comedic prop. Nothing against a crazy ex-lover storyline, but it just came out of no where, especially for a sports anime.